The Cine Europa fever is now back, the longest and widest film festival in the country opens in Manila on 16 September 2017 at Shangri-La Plaza in Mandaluyong City with the perfect fusion of the best of classical and contemporary films from the European Union. Now on its 20th year, the film festival has become stronger and bolder as it brings to the Philippines 24 films from 16 EU countries including from Austria, Belgium, Bulgaria, Czech Republic, Denmark, France, Germany, Hungary, Italy, Netherlands, Romania, Slovakia, Spain, Sweden, United Kingdom and Norway. will be screened giving the press the opportunity to decide the ending of the story. "The Verdict" engages the audience into a discussion which is highly relevant to our democratic societies. The case starts when terrorists hijack a civil airplane and force the pilot to set course for a sold-out football stadium. However at the last minute and against the explicit orders of his wing commander, a German air force pilot shoots down the airplane before it crashes into the stadium. This has saved the lives of tens of thousands but has killed all passengers on board. The audience will have to vote whether the airforce pilot is guilty or not. First Secretary Jerome Riviere of the EU Delegation to the Philippines together with Ms Liza Dino of the Film Development Council of the Philippines, and officials from Shangri-La Plaza will present the Cine Europa film festival to the press. Mr Thorsten Gottfied of the German Embassy in Manila will give an introduction about the film "The Verdict". Mr Riviere said that this year's entries have the charm, mysticism and elegance of the European past and the dynamism and vigour of contemporary films from Europe which explained why the EU Delegation to the Philippines together with the European embassies and cultural institutes have decided to feature both classical and contemporary films as a special treat to all the Cine Europa enthusiasts. The festival will start in Manila from 16 September in Shangri-La Plaza, Mandaluyong and will travel for four months to eight other cities and municipalities with its well-crafted and significant blend of movies from Europe and with guest entries from equally outstanding films from the Philippines. Cine Europa boasts of the fact that is the only festival in the country which is the longest and has the widest potential of reaching as many audiences as it screens in a variety of venues from theaters to malls and to universities. 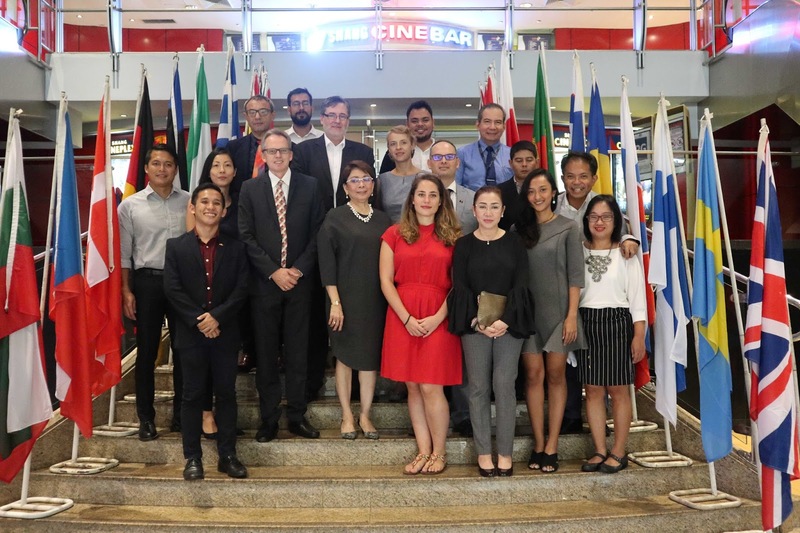 Cine Europa is presented by the European Union Delegation to the Philippines, the EU member states' embassies, Embassy of Norway, EU MS Consulates and its partner organisations from the private sector, academe and government agencies. On 16 September 2017, Cine Europa opens with the French film "Souvenir". The film is the perfect opening for the festival as it is a romantic film directed and co-written by Bavo Defurne. It stars Isabelle Huppert, Kévin Azaïs, and Johan Leysen. Mr Mattias Lentz, Chargé d'Affaires, a.i. EU Delegation to the Philippines will be joined by Chargé d'Affaires, a.i. Laurent Legodec, Ms Lala Fojas, Vice-President, Shangri-La Corporation and Ms Liza Diňo, Chairperson, Film Development Council of the Philippines in inaugurating the film festival. 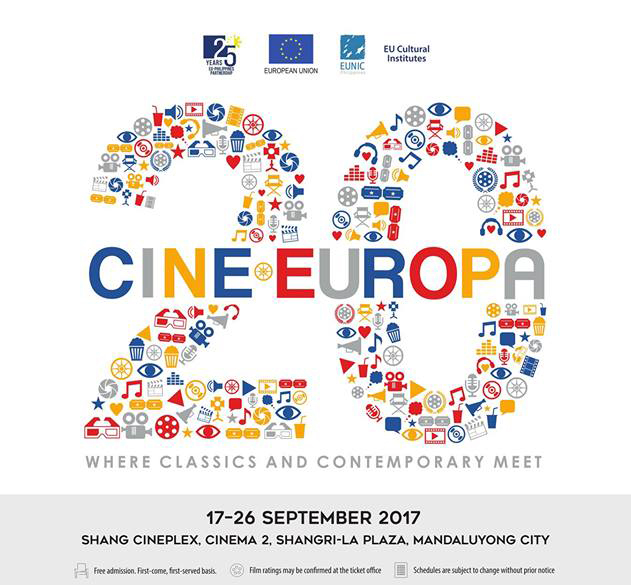 Cine Europa, according to Mr Lentz, has earned a niche among film enthusiasts in the country because of its strong partnership and collaboration with its partners including Shangri-La Plaza, the Film Development Council of the Philippines, Arts Council of Cebu, Ayala Center in Cebu, the University of the Philippines- Visayas in Tacloban, the Visayas State University in Baybay Leyte Liceo de Cagayan in Cagayan de Oro City, Palawan State University and recently, Ateneo de Naga University. "We also owe a lot to our Filipino moviegoers who have supported Cine Europa for the last 20 years since the European Union started the film festival as a gift to the Philippines for the latter's centennial celebrations", said Mr Lentz. After its edition in Shangri-La Plaza, Cine Europa takes a road trip to the cities of Baguio, Cebu, Iloilo, Tacloban, Baybay, Puerto Princesa and back to Manila. For the first time, Cine Europa is travelling to Ateneo de Naga University.